Certified Dental Labs: Learn the Facts and Find a Lab – What's in Your Mouth? What is a Certified Dental Lab? A Certified Dental Laboratory (CDL) must meet specific standards relating to quality assurance, safety, and business and manufacturing practices. A CDL monitors and attempts to improve the quality and efficiency of its services and facilities. The National Association of Dental Laboratories (NADL), the American Dental Association (ADA) and the American College of Prosthodontists (ACP) recognize CDLs. CDLs also receive outstanding support and participation from U.S. military services. Why should I make sure my dentist uses a CDL? • has regular infection control training and procedures. • ensures adequate technician supervision. • upholds quality and safety standards. • maintains records of the brand-specific products it uses. • meets or exceeds government regulations. • has a written remake policy. • uses an alloy labeling system so you can know what’s in your mouth. How do I locate a CDL in my area? Now that you know what a CDL is, find one near you! According to most state laws, laboratories only can accept prescriptions from licensed dentists. However, interested patients may contact CDLs for information about which dentists use their services. 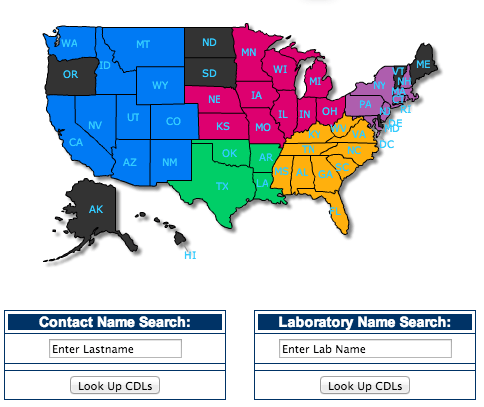 Click here to search by contact name, laboratory name or by state. PreviousPrevious post:Is there a medical test to show whether I’ve been exposed to lead?NextNext post:What is a Certified Dental Technician? my view its genuinely amazing for me. few general things, The website style is wonderful, the articles is really nice : D.
It’s really a cool and useful piece of info. I’m satisfied that you shared this helpful info with us. I mean What’s in Your Mouth? – Certified Dental Labs: Learn the Facts and Find a Lab is kinda plain. You should glance at Yahoo’s home page and watch how they create article titles to grab people interested. stuff prior to and you’re just too excellent. are saying and the best way wherein you say it. You make it entertaining and you continue to care for to keep it sensible. Any way I’ll be subscribing in your feeds or even I fulfillment you get admission to consistently rapidly. reader. What could you suggest about your publish that you just made some days ago? Good information. Lucky me I recently found your websikte by chance (stumbleupon). I recently had dentures made. I had an upper made 5 years ago that didn’t work out because the teeth were too big and it looked as if I had bucked teeth. I told the dentist at the time they weren’t right but he said they were perfect. I got stuck for 5 years, unable to wear them. I recently had a full set made. The dentist said I had bone loss and it would be difficult. I told him as long as the teeth were the correct size and position I would be happy. We got to the part where the wax set came in and I could barely fit them in. Again it felt as if they were too big for my mouth and I told him so. His response was that they were “esthetically correct and perfect” and away they went after I asked if he were sure the teeth were smaller than the previous;he assured me that they were perfect. Maybe, It depends on if it can be mined and purified more cheaply than just lifting water from Earth.